Even if you set those intimidating documents aside, life itself is more complicated today. And yet you can choose to keep your own life simple and manageable by adopting just a few rules that guide your direction and behavior. David Singer shows you how to do just that in his wonderful book, Six Simple Rules for a Better Life. The co-founder and CEO of a successful insurance company, David also has a real gift for story-telling, and his book is filled with practical guidance for making your own life more satisfying. 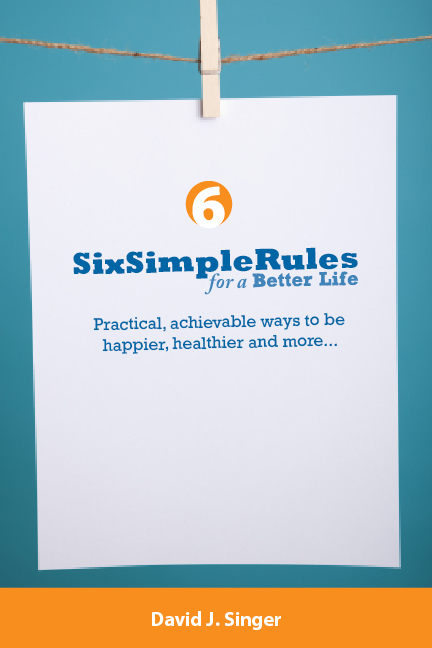 The chapter titles state the six rules, which are very simple and easy to remember: Be Happy. Be Nice. Be a Leader. Be Organized. Be a Lifelong Learner. Be Healthy. But simple is deceiving. David has crammed dozens of nuggets in each chapter, so you receive a wealth of valuable, useful suggestions to choose from. He’s an avid reader and includes insights from a wide range of books to illustrate his points. Best of all, he wisely advocates making incremental changes in just one or two areas rather than tackling several major things at once. For example, while I really like order and a neat desk, I’m not always successful in keeping my “stuff” in its place. And I sometimes put off starting a big project that seems overwhelming. 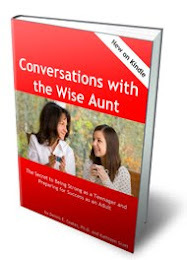 So two tips from the chapter, “Be Organized,” resonated with me and I committed to implement them right away. 1. “Files, Not Piles.” If you start accumulating a pile of papers on your desk, stop and go through them. Otherwise, it’s impossible to keep track of what you need to do. Anything you’re not going to handle right away needs to be added to your to-do list and then put away in a file. 2. “Eat the big frog first.” It’s easy to put off the task on your list that seems hard or scary. But the trick to harnessing your best energy is to take on that item first thing in the day. You get past your fears by making progress on the project, and it makes the tasks you work on the rest of the day seem easy in comparison. 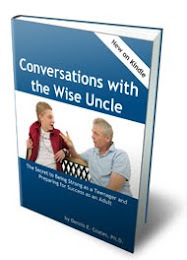 I found myself drawn in by David’s personal stories and conversational style, and by the end of the book, I felt I’d made a new friend. 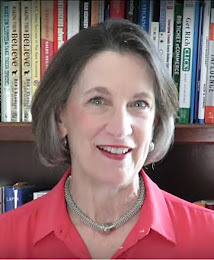 Many writers of self-help books down-play their failures and focus on their successes. David’s approach is refreshingly different. He’s authentic and genuine and doesn’t try to pretend he’s perfect. 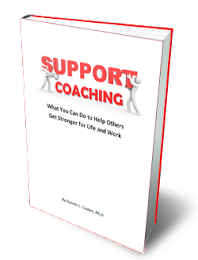 He openly describes situations he handled poorly and shares what he learned from them. You can feel his passion for each rule and I came away respecting his efforts to apply them in his life...and inspired to implement them in my own. If you’re on a quest to become your best self, you’ll find a ton of valuable tips in the pages of this book to help you on your journey.